The Business of American Injustice by Sydney Williams is a poignant narrative, a memoir that deals with what the author calls “a story about our personal journey through civil litigation, bankruptcy, and the criminal justice system. As unbelievable as it seems, each event is a matter of public record.” This is a story that relates grave injustices against a couple, a story that put them through the worst forms of suffering, including forced separation. They were tried for a crime without a victim. The narrative is poignant, and it raises powerful questions about the role of the justice department and its commitment to justice. It is also a tale of strength in a relationship and a couple’s courage to endure, hoping against hope, and believing in each other. I loved this narrative and I enjoyed the fact that the author tells their story of a Real Estate Investor who lost everything and for the sake of injustice. The story is filled with researched facts and information that will stun the ordinary American citizen. For instance, the author states that “One in every 263 people we encounter is a lawyer. We have over 25% of the world’s prisoners. Vague and absurd laws create lawbreakers. More such laws create more law breakers.” This memoir is a tale of flagrant injustice and it explores the suffering of a loving couple that experienced forced separation after being sent to Federal prison. The writing is flawless and the voice is so powerful. One hears a fighter fighting against the injustices committed against the innocent on a daily basis, a powerful indictment of the justice system. But it is also a story of the love of a couple that remains faithful to each other in spite of trying times. The Business of American Injustice is a book with the most useful information every citizen needs about the justice system. It is as thought-provoking as it is informative. The Business of American Injustice by Sydney Williams is about the injustice of the American system. He tells his story about how he and his wife had to go to prison for a technical violation of a statute they did not realize was a crime. Sydney Williams mentions how the system works in the prison as well as in the court room. He talks about the mistreatment in the prison, like not getting healthy food to eat, and how the workers prey on the inmates by selling them food and such. He also tells his story about how they confiscated all their belongings at their home. Sydney Williams said his story was still ongoing. I thought that The Business of American Injustice by Sydney Williams was a fascinating story full of hope. I liked how he gave us the definitions of the terms of why he went to prison. I admit I’m still a bit confused on some of them. Sydney Williams went into great details of his incarceration, which were horrifying. It’s hard to imagine people treating other people like that. He explained what went on in the hearings too, which was shocking to read. I never had any love for the government, no matter what the party is, but now I have even less love for it. I do hope that he never gives up and that he and his wife are still together. I have always wondered if true love exists and, thanks to them, I know it does. I hope it turns out well for the author. The Business of American Injustice by Sydney Williams is the horrifying true story of a couple's battle with a legal system in a free Western society they thought was there to protect the innocent. Follow his journey of investing in a business which he thought was legitimate, his claim for bankruptcy, and the distressing experience of civil litigation. Discover how a hardworking man managed to find himself convicted for a crime he never knew existed, and how he and his wife were sent on an emotional roller coaster through the judicial system, which resulted in their incarceration. His experience of corruption and loopholes in the legal and penal system, which stripped him of his belongings and dignity, are shocking and unbelievable. This book will also uncover statistics and facts that could explain why the most vulnerable in society often suffer the same fate, and why a change in the law is vital for the future well being of the American people. The Business of American Injustice by Sydney Williams is so chilling to read but also unnerving that a man can be drawn into such a horrific situation with nowhere to turn for guidance or help. Both he and his wife showed such extreme strength throughout. The facts about the legal system were unbelievably appalling. For example, 91% of the IRS seizures for ‘structuring’ involved innocent taxpayers who are forced to accept responsibility for a crime they never knew they were committing. The other federal crimes listed in the book were outlandish to say the least and hopefully this book will help expose the dire need for legal reform. The author relays his experiences without self-pity. His story will hopefully make changes in the law to protect more innocent people. I think this well-written account of injustice will go some way to highlight such a widespread problem. The details in this book will not be easily forgotten. The Business of American Injustice is a work of non fiction by author Sydney Williams, focusing on the topic of law and government in the United States of America. The book recounts the journey of the author and his wife as they face arrest, prosecution and time in Federal Prison over an issue that lay more in the wording of laws and pleas than it did in the actual criminal world. The tale is one of detailed research into the often questionable legal practices of the modern day United States and the strength and solidarity of a relationship put under strain by a needless prosecution and prison sentence. Sydney Williams describes The Business of American Injustice as an unbelievable story at the very start of the book and, by the end, it truly is. After becoming incredibly successful in the world of business and real estate, Sydney makes an investment in a company that turns out to be a Ponzi scheme, where old investors are paid off by new investors. Despite not being blamed for his investment in this so-called company, he and his wife were sentenced to Federal Prison for a crime with "NO" victims. I really found the whole legality of the thing disgusting, and I’m very glad that Sydney is able to tell his story with such clarity and forgiveness so that others may learn of these terrible discrepancies within their legal system. The Business of American Injustice by Sydney Williams is a true life story of a couple's personal experience of civil litigation, bankruptcy and the criminal justice system in America. The author, Sydney Williams, recruited investors for Capitol Investment, a company that later turned out to be a Ponzi scheme run Nevin Shapiro, a man who is now serving time in federal prison for his part in the scam. Many people lost money, including Williams, who was also hailed as a victim of the scheme. Williams describes his early life including honorable discharge from the US Army and his success in business. His later involvement with Capitol Investments was his undoing. All the events Williams describes in the book are on public record. This is just as well because any sane person reading this book would find a great deal of it very hard to believe. Sydney Williams and his wife have undergone a frightening experience, underlying the fact that prosecutors can convict almost anyone for anything. Of all federal indictments, approximately 97% plead out, mainly because it is impossible for them to win and not because they are guilty. The couple spent time in Federal Prison and it was interesting to read their critique of the system. They were hounded by bureaucrats and prosecutors with frightening and oppressive discretionary powers. The one shining light was their personal spiritual journey including their ability to forgive. The Business of American Injustice should be read by anyone involved with any part of the US legal system. Everyone else living in America should also read this book. 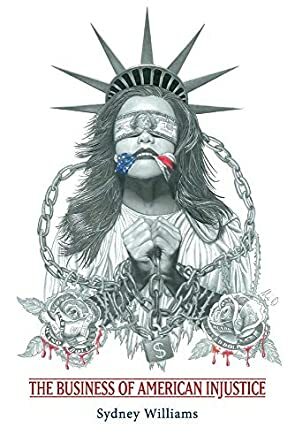 “The Business of American Injustice” by Sydney Williams, is a well-written, factual, easy-to-read chronicle of the injustices that a couple endured at the hands of the entities that were created to protect them. Beyond the challenges encountered by Mr. and Mrs. Williams, it is a portrait of the atrocities by the FBI, IRS, DOJ, BOP, and the legal system in general. Their faith in God made them stronger and able to survive.